Monday to Friday from 9:30 a.m. to 7:00 p.m.
Audioguides offering a guided tour of the church in French and English are available at the reception. Nine panels located in the church retrace in a few texts and archival images the history of Saint-Eustache. 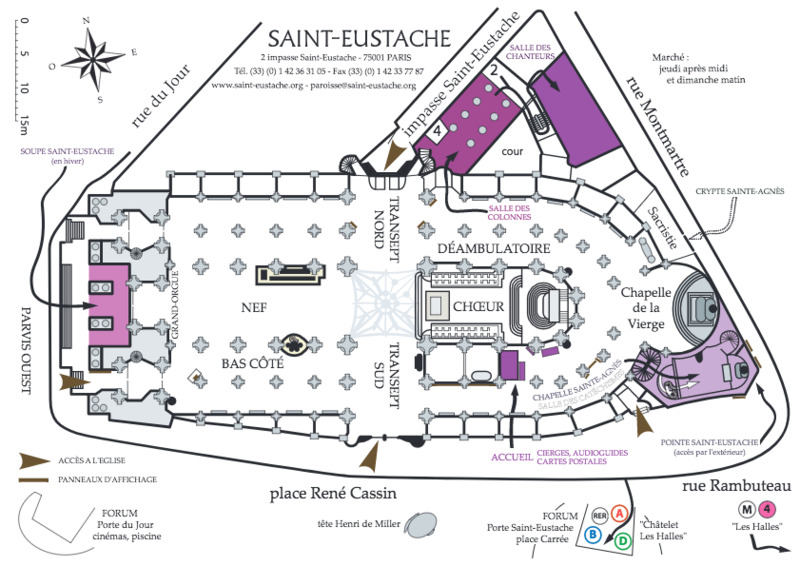 A flyer Historical route of Saint-Eustache is now available in the church displays.